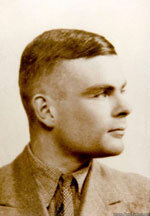 The Turing Archive for the History of Computing is a large collection of digital facsimiles of historical documents. The documents that are so far available for public viewing are divided into the subject areas listed below. Selecting a subject area will take you to a list of the documents that are presently available in that area and selecting a title from that list will take you to a facsimile of the document. The Turing Archive for the History of Computing is © copyright.